Passiflora caerulea, the blue Passion flower is very popular & widespread in UK and the rest of Europe as well as in the Americas. 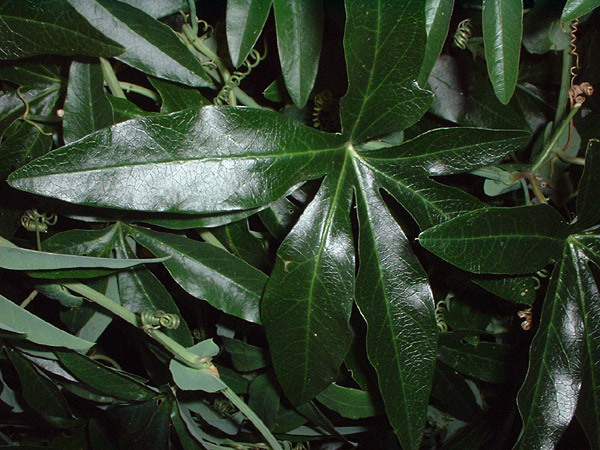 It prefers a south facing slightly sheltered dry spot with free-draining soil. It is easy to grow and even if taken back to the ground by a hard frost will usually come back again. Nevertheless it is best to protect it from frost for it’s first year. 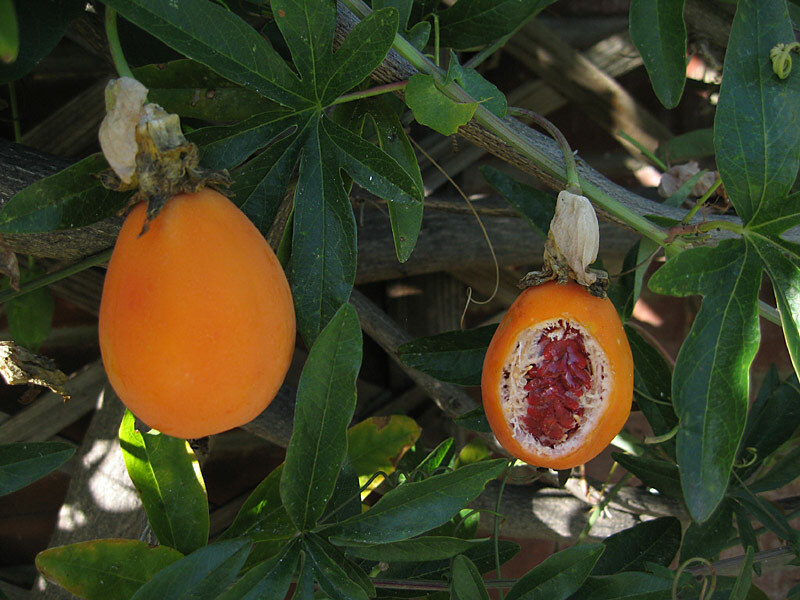 The fruit are inedible when green but they may be eaten when they have ripened and turned orange – though they do not generally taste that great. Note the Passiflora caerulea ‘sport’ in the gallery. A stem that starts producing different flowers. 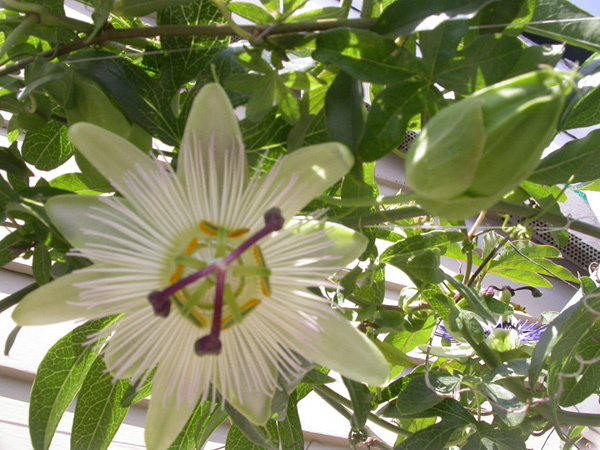 A remarkable, but not unusual, phenomenon showing two totally different flowers on one Passiflora caerulea plant. 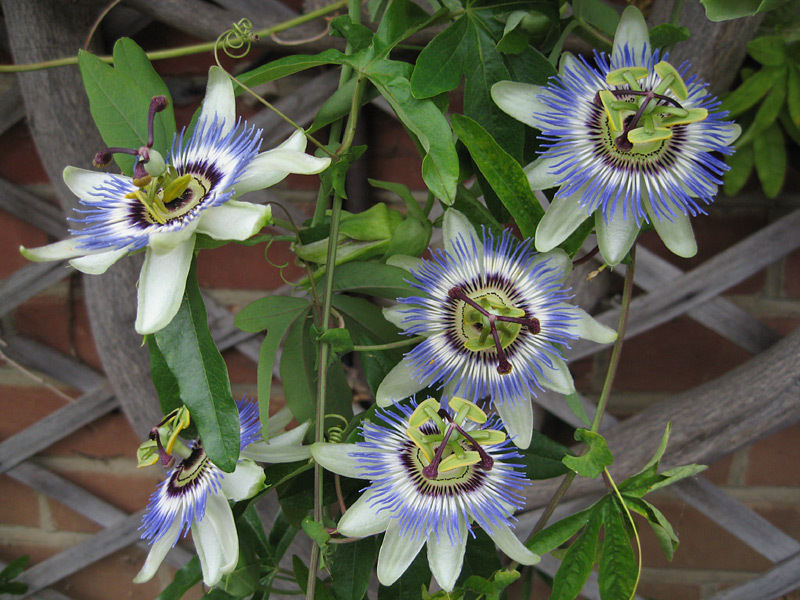 A Passiflora ‘Constance Eliott‘ type white flower at the front and an ordinary blue one at the back on the right. Cutting it off and rooting it will create a new plant that may, but not always, produce white flowers only. 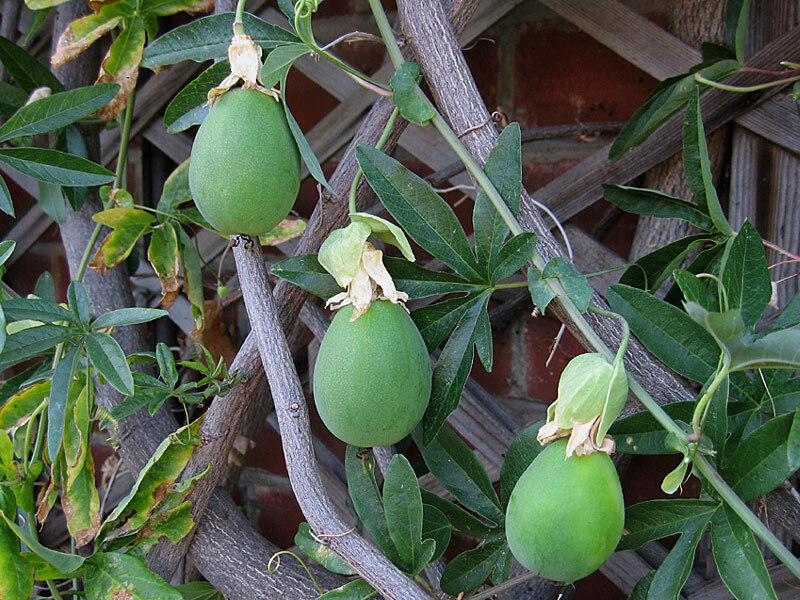 See the fascinating history of how the passion flower came to get its name and become so widespread. Read more.